BUFFALO, N.Y. — The brain receives information from the ear in a surprisingly orderly fashion, according to a University at Buffalo study scheduled to appear June 6 in the Journal of Neuroscience. The research focuses on a section of the brain called the cochlear nucleus, the first way-station in the brain for information coming from the ear. In particular, the study examined tiny biological structures called synapses that transmit signals from the auditory nerve to the cochlear nucleus. The major finding: The synapses in question are not grouped randomly. Instead, like orchestra musicians sitting in their own sections, the synapses are bundled together by a key trait: plasticity. Plasticity relates to how quickly a synapse runs down the supply of neurotransmitter it uses to send signals, and plasticity can affect a synapse’s sensitivity to different qualities of sound. Synapses that unleash supplies rapidly may provide good information on when a sound began, while synapses that release neurotransmitter at a more frugal pace may provide better clues on traits like timbre that persist over the duration of a sound. UB Associate Professor Matthew Xu-Friedman, who led the study, said the findings raise new questions about the physiology of hearing. The research shows that synapses in the cochlear nucleus are arranged by plasticity, but doesn’t yet explain why this arrangement is beneficial, he said. In the study, Xu-Friedman and Research Assistant Professor Hua Yang used brain slices from mice to study about 20 cells in the cochlear nucleus called bushy cells, which receive information from synapses attached to auditory nerve fibers. 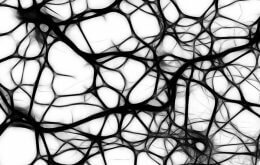 The experiments revealed that each bushy cell was linked to a network of synapses with similar plasticity. This means that bushy cells themselves may become specialized, developing unique sensitivities to particular characteristics of a sound, Xu-Friedman said. The study hints that the cochlear nucleus may not be the only part of the brain where synapses are organized by plasticity. The researchers observed the phenomenon in the excitatory synapses of the cerebellum as well. “One reason this may not have been noticed before is that measuring the plasticity of two different synapses onto one cell is technically quite difficult,” Xu-Friedman said.